Why would nine Clean Power Lake County Campaign team members tromp through the snow in subzero temperatures at Waukegan’s lakefront on Valentine’s Day, armed with two heart-shaped candy boxes and one gallon of pink lemonade? It’s not because they are gluttons for punishment (though some might argue that they are). In fact, it was because they wanted to send a heartfelt anti-coal message to David Crane, CEO of New Jersey-based NRG Energy, which owns the coal coal-fired power plant in Waukegan. The burning of coal is one of the main reasons Northeastern Illinois fails to meet minimal federal air quality standards for ozone smog and particle pollution. This endangers not only Waukegan residents but also the more than 8 million people living in the region. The coal-fired Waukegan plant is of particular concern because it emits more sulfur dioxide and mercury than any other factory or facility in Lake County, according to the Illinois Environmental Protection Agency. The risks are real: Pollution from the Waukegan coal plant resulted in 34 premature deaths, 570 asthma attacks and more than 50 heart attacks, according to “The Toll from Coal,” a 2010 Clean Air Task Force report. The burning of coal poses additional risks. Coal ash contains toxic heavy metals such as arsenic, lead and selenium that pollute groundwater at the lakefront site of the Waukegan plant. Numerous studies link heavy metals with increased risk of cancer, learning disabilities, neurological disorders, birth defects, asthma and other illnesses. The annual health costs of air pollution from the Waukegan coal plant exceed $86 million, according to a 2010 National Research Council study that applied an economic model to air pollution statistics. 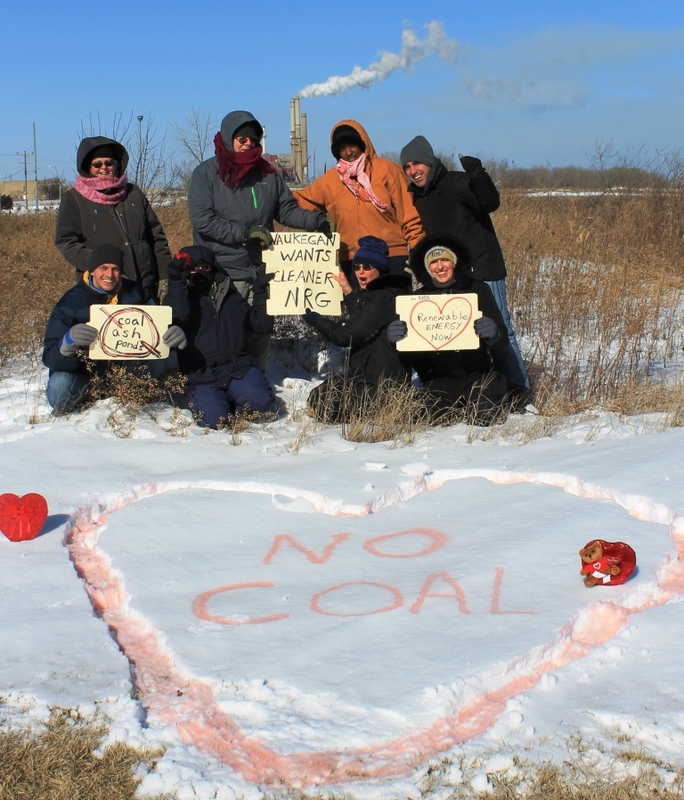 No wonder 26 state and local public officials from the Illinois State Legislature and the Lake County Board and more than a dozen Lake County, Illinois, physicians have asked NRG to establish a clear transition plan for the coal plant and to explore clean energy options.